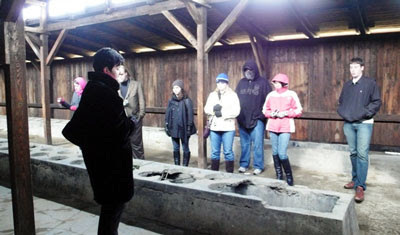 Dr Dennis Laumann and Dr Daniel Unowsky, associate professors in the Department of History, led a group of 16 Memphis students to Germany, Poland, and the Czech Republic over Spring Break in March. 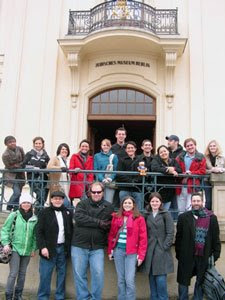 The study tour was part of their Spring 2009 course entitled “Genocide in German History” offered through the university’s Helen Hardin Honors Program. 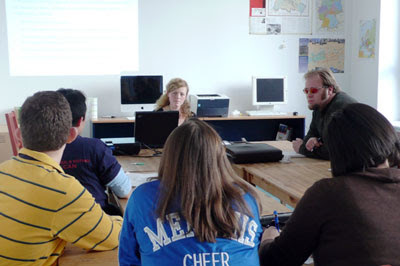 In the first half of the semester, the class met on Friday afternoons for lectures and discussions on topics related to the course theme, including German colonialism, the genocide of the Herero in German Southwest Africa, the Holocaust, and history and memory in today’s Germany. 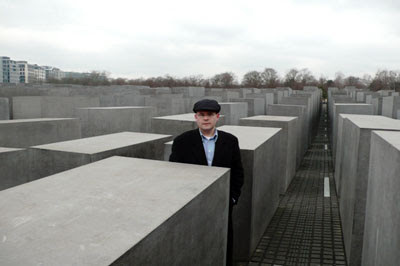 The students and professors flew to Berlin on 6 March and on arrival visited the new Memorial to the Murdered Jews of Europe located in the heart of the reunited German capital. Dr Laumann is shown here in the Memorial. 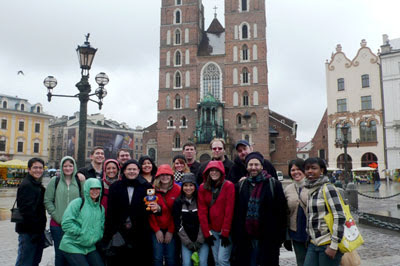 traveled on an overnight train to Cracow, and walked through Cracow’s medieval town center and Kazimierz, the city’s historic Jewish quarter. 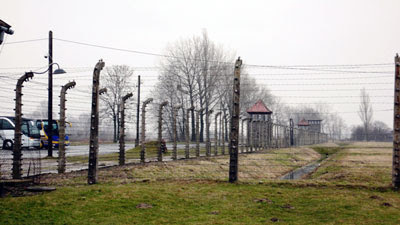 The class also took a guided tour of the Nazis’ largest concentration and extermination camp, Auschwitz-Birkenau, just outside Cracow. 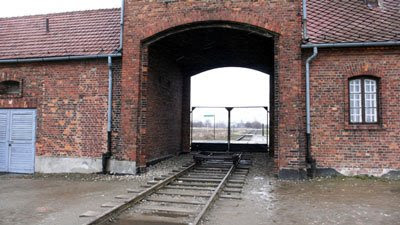 The following photographs show the fences at Auschwitz, the train entrance to the camp, and barracks inside Auschwitz. 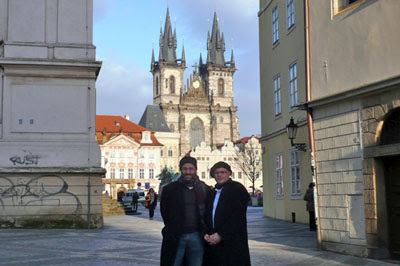 The trip ended in Prague with a walking tour of the Jewish quarter and a final day in Europe spent as tourists. 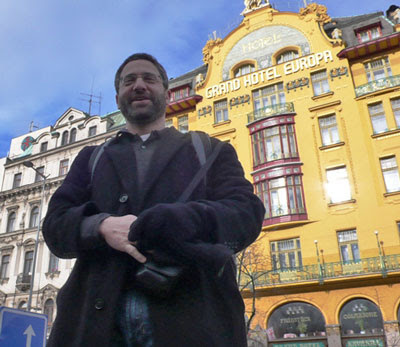 Dr Unowsky is shown in front of his favorite Art Deco hotel, in Prague. 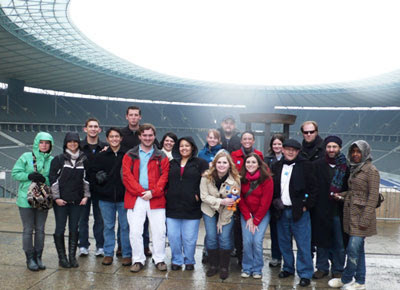 The study-tour was the first trip abroad for many of the students, who focused on the very serious subject of the course but were also able to take advantage of this opportunity to see and learn about three great European cities.